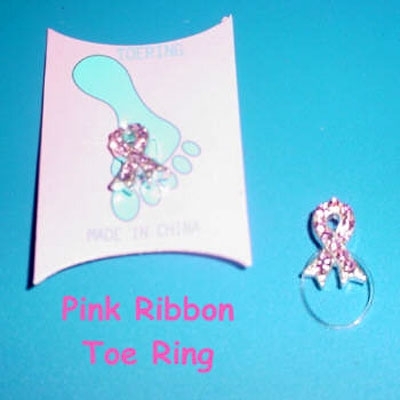 This is an adorable pink crystal ribbon toe ring. The ring is invisible, as it is elastic. This is a fun addition to your pink ribbon collection. Order yours today!